Beautiful new short-term vacation townhomes, built by Hoopes Construction. Properly zoned for overnight rentals. Close to shopping, restaurants, sporting events, the lake, and entertainment; a rare find in Washington Fields. Freedom Village will come complete with pool, spa, pickleball, playground, and RV parking. 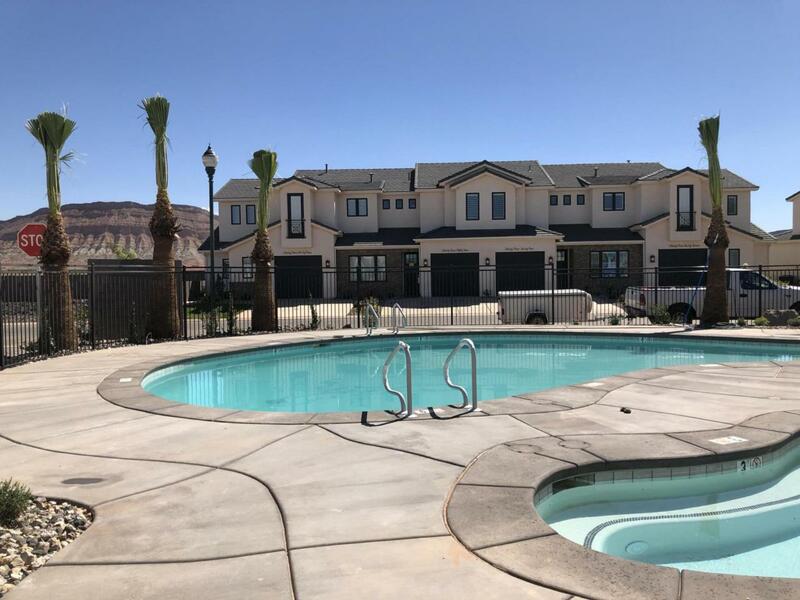 Truly a diamond in the desert.Complete w/appliances.2 water heaters is a standard feature. Custom paint throughout. No two homes alike. All centrally located around pool. Convenient location close to Sand Hollow, airport, sand dunes, shopping, Costco! Come see our model and other decorated homes ready for you to move into! Perfect second home. Close to Zion and other recreation areas. HOA included fiber optic internet, cable tv landscape, pool maintenance, etc.